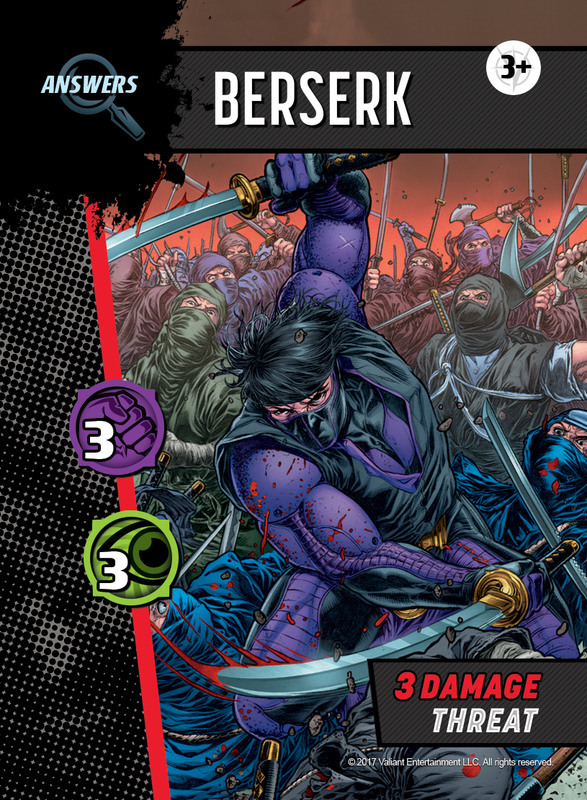 The friendly folks at Overworld Games commissioned me to do the graphic design and iconography for "Ninjak Vs The Valiant Universe" card game. 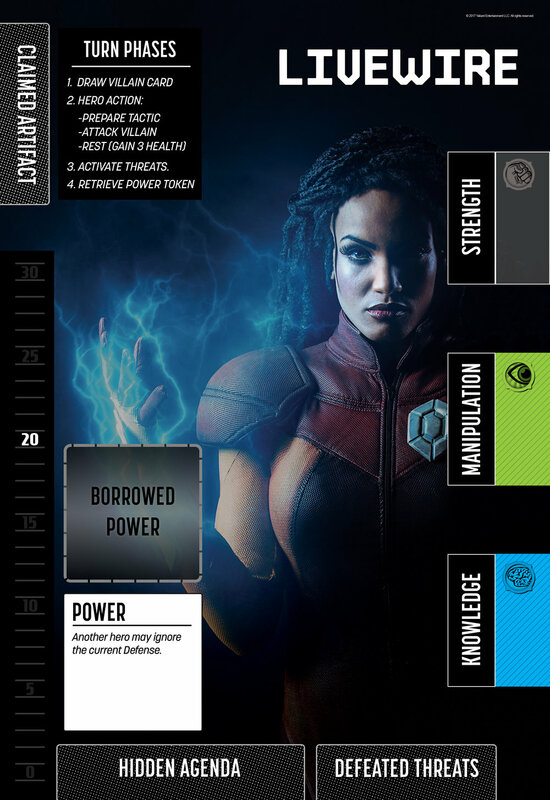 This was an exciting project because it allowed me to open the vault on Valiant Comics imagery. 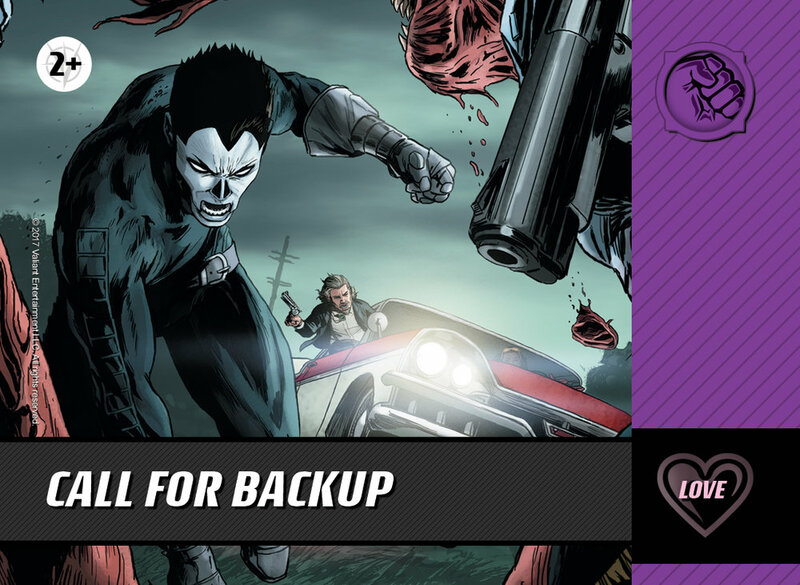 I was also fortunate enough to see (and use) a sneak preview of the Valiant Comics live action web episodes. 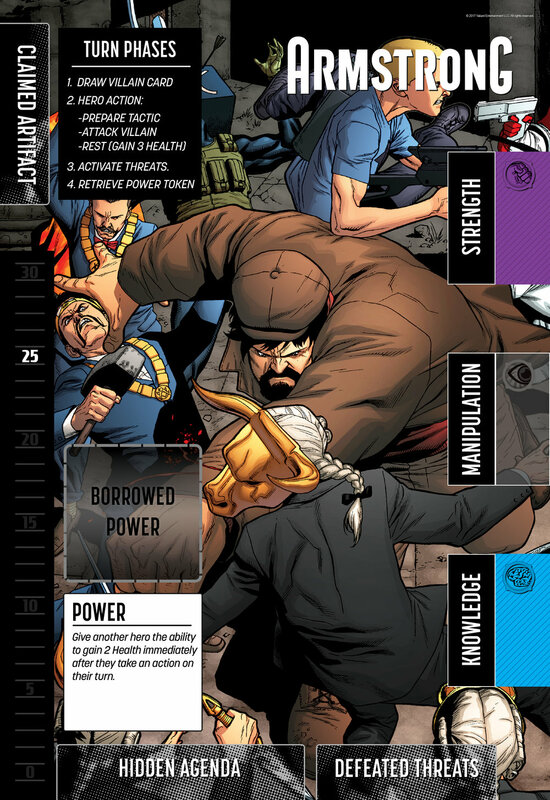 This was reason enough to head to the comic book store and re-familiarize myself with Valiant's look and feel in both typography and overall graphic design! 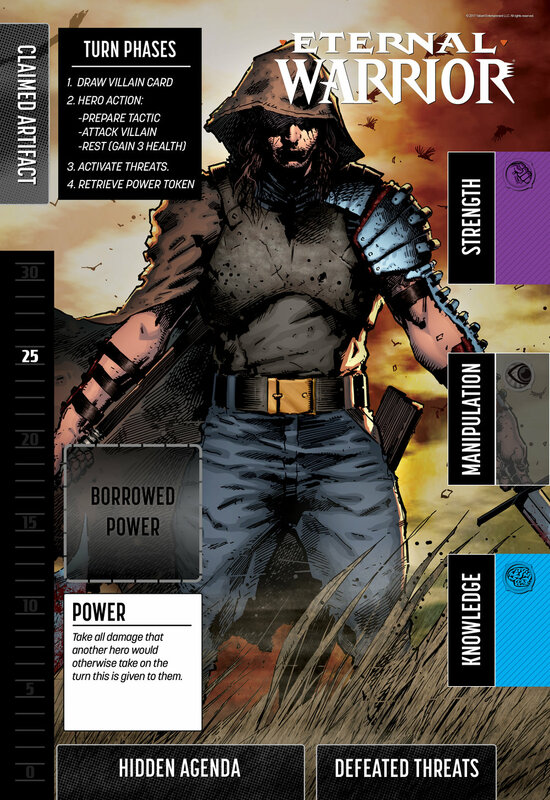 I designed all aspects including the box, rules, game boards, tokens, cards and icons. Each player uses their own personal game board or "mat" to keep track of their progress. These mats were double-sided, so a player could use the traditional comic book image of their favorite character, or turn the mat over to see the live action image. 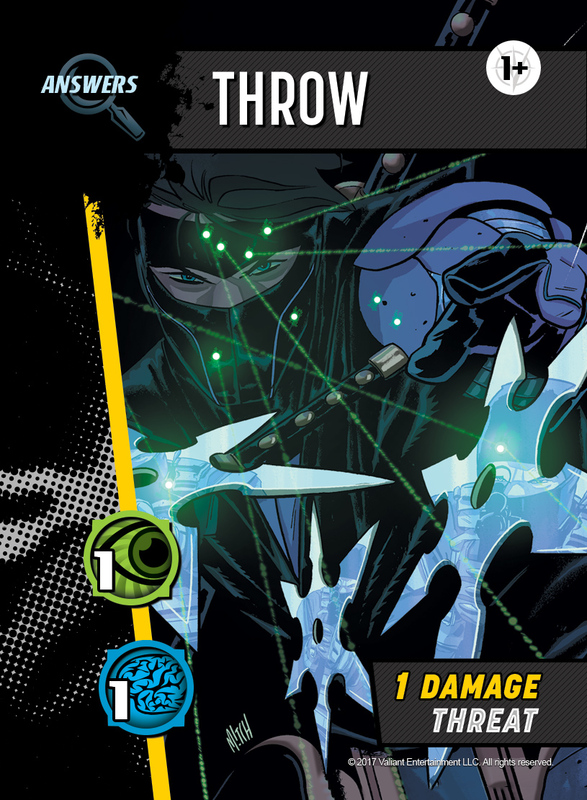 These cards represent the Ninjak character attempting to thwart your plans. These cards assist players in moving their plans along. Each card is tucked under each player's mat to help them keep track of stats.